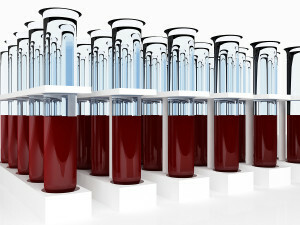 Specialising in thyroid and adrenal disorders, I get to see a lot of blood test results, especially from doctors who are ‘checking’ their patient for a possible thyroid disorder. Quite often the only test being run is TSH – thyroid stimulating hormone. Unfortunately this test isn’t an accurate one for thyroid hormone function, as I have witnessed again and again in my patients – but it is not just my anecedotal evidence seeing this – it is scientifically proven that the test is not necessarily representative of a patient’s thyroid status. The TSH test has been proven beyond doubt to not be accurate enough in many, many cases; especially those with subclinical hypothyroidism, and even in those with autoimmune conditions such as Hashimoto’s Thyroiditis. I can’t tell you how many patients I have seen in clinic with antibodies which are way outside the normal range, classing them as having an autoimmune disease, yet their TSH is perfect. If it hadn’t been for me pushing to have the extra testing done, these patient’s doctors would have dismissed the thyroid as having anything to do with the patient’s symptoms – even if they are suffering with every hypothyroid symptom in the book. Like myself and many others, Mary suffered from a thyroid condition that was incorrectly treated, and this led her on a journey to recover her health by finding out more about her thyroid and what the answer to healing might be. On this journey she found that thyroid conditions were one of the most misunderstood and misdiagnosed conditions – leaving thousand of people suffering needlessly, often due to the rigid adherence by doctors to the standard protocol of TSH blood test results and Thryoxine prescriptions. There has been much debate about the relevance and accuracy of the standard TSH test (thyroid stimulating hormone) and whether this test is a definitive diagnosis of a hypothyroid disorder. There is a lot of literature to say that it is not – yet most doctors are not aware of the controversy surrounding this test and still use it as gospel. If a patient has every hypothyroid symptom in the book, has a family history of thyroid disorder, has a low body temperature, and an enlarged thyroid (as I have seen in clinic) – but her TSH is in range, the doctor will more often than not refuse to treat the patient for a thyroid condition. The patient will be prescribed anti-depressants, told to eat less and exercise more for the weight gain, and that the fatigue is just a natural part of getting older. None of this actually helps the patient, who continues to decline in health until a forward thinking practitioner uses their judgement and treats the thyroid. Many patients ask me what literature they can take to their doctor to help them to understand that the TSH test can be misleading, and a result that is at the high end of the range can indicate a hypothyroid problem. In Mary Shomon’s latest post she give links to articles discussing the health issues of sub-clinical hypothyroidism (normal TSH but thyroid symptoms) citing scientific journals to illustrate their point. If you think you may be suffering from a hypothyroid condition, don’t just accept the TSH test – ask for a comprehensive range of testing, including auto-antibody tests, for a much more accurate representation of thyroid health. Just wanted to say thank you on your fantastic website and info on TSH. I came across you website while searching info on Thyroid problems. I just had surgery to remove a 5.5cm cyst in my right thyroid lobe. They did a hemithyroidectemy. The last 18 months have been nothing but a battle with GP’s for a diagnosis. TSH and Antibodies were normal levels and they kept telling me im overweight and depressed. I need to eat raw vegetables and exercise and ill feel better. My best remark from my GP was when I complained 18 mths ago that I felt food was getting stuck in my throat, she said that im too fat and the food cant get down to my stomach because of the weight. WTF?? My sister was diagnosed with thyroid cancer recently and it made me push for an Ultrasound regardless of Blood Tests. My family has been tested and my mum too has been diagnosed with thyroid cancer. My results have come back benign, luckily. I understand why so many people out there get frustrated that GPs wont listen. It has been a week since surgery and TSH level is increasing. Im having a test in 4 weeks again. Do you have any advice? Next post: Need Some Kelp?